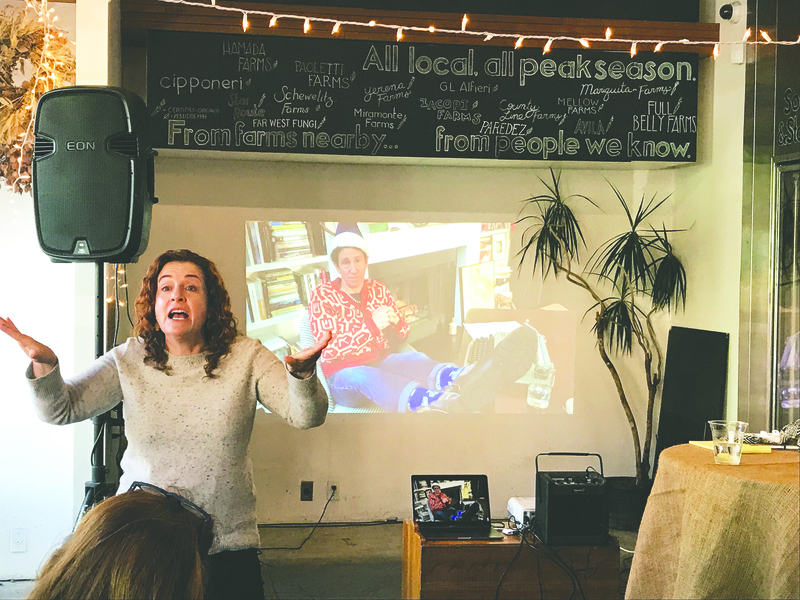 'We are unstoppable': Planned Parenthood video from Tiffany Shlain – J.
Unstoppable Art, an advocacy and social action arm of the national organization Planned Parenthood, has released a new video directed by Bay Area filmmaker and social activist Tiffany Shlain. 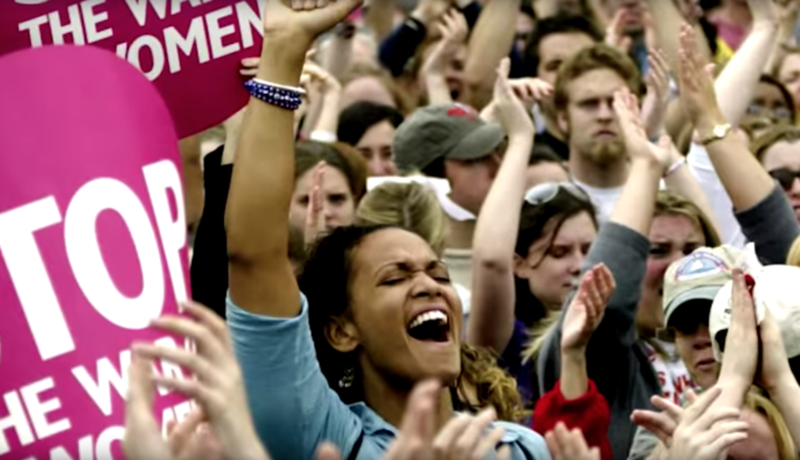 “Unstoppable Manifesto” is an eye-catching 3-minute film that edits together the proclamations of women of all ages and ethnic backgrounds regarding their right to make decisions concerning their bodies and their demand for full social equality. At a moment when many American women feel they’ve just taken a serious hit in terms of political power, following the confirmation of Brett Kavanaugh to the Supreme Court, the film is an electrifying statement of mutual empowerment. Using a song by pop star Sia, with her support, and footage from the massive January 2016 Women’s March on Washington and other protests around the nation, the film, launched at a Planned Parenthood event in New York this week, likely will be widely disseminated on social media. The film presents some key facts: 71 percent of Americans currently support Roe v. Wade. One in five American women has been raped in her lifetime. For every dollar a white male earns in this society, white women earn 77 cents, black women 63 cents, Native women 57 cents, Latina women 54 cents. The word “unstoppable” might well apply to Shlain, daughter of the late physician-author Leonard Shlain and the psychologist Carol Lewis Jaffe, who for the last two decades has proven to be a force in social action filmmaking and digital media innovation. A graduate of UC Berkeley, she studied organizational change at Harvard Business School and film production at New York University. 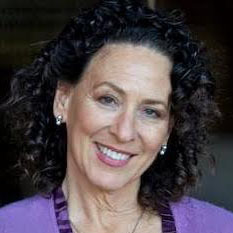 Combining her background in film and technology, Shlain founded the Webby Awards and co-founded the International Academy of Digital Arts and Sciences. In 2002, Shlain directed, produced and co-wrote “Life, Liberty, and the Pursuit of Happiness,” a documentary about reproductive rights in America. The film premiered at the 2003 Sundance Film Festival and was used nationally by Planned Parenthood to mark the 30-year anniversary of Roe v. Wade. Since 2005, Shlain has produced films full time through her film studio in San Francisco, the Moxie Institute. 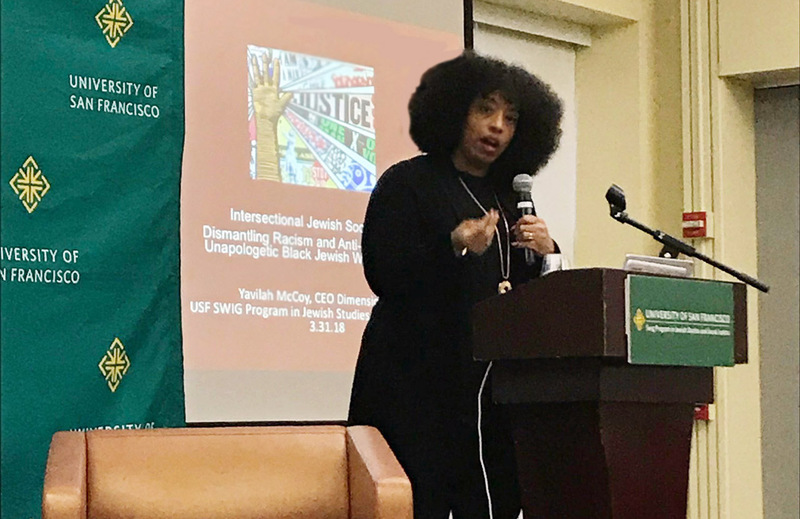 Her documentary “The Tribe,” co-written with her husband, Ken Goldberg, explored American Jewish identity through the history of the Barbie doll. In 2013 she founded the nonprofit Let it Ripple: Mobile Films for Global Change. Her 2016 film “50/50: Rethinking the Past, Present, and Future of Women + Power” explored 10,000 years of women’s history. Shlain lectures globally on filmmaking, the Internet’s influence on society and the future. Shlain lives in Marin County with her husband and two daughters, Odessa and Blooma, both of whom make brief appearances in the new video. O Hanukkah! No Hanukkah! Holiday debated in S.F.